While I could probably drone on for awhile about what it is about the Star Seeds that just don’t sit right with me, I think my biggest gripe is the fact that everyone has one. I get that Sailor Crystals1 and Star Seeds are supposed to be essentially the same thing, but the rules on how they operate are completely different. And don’t get me started on the whole weirdness introduced in the anime of why having your Star Seed removed turns you into a Sailor monster. That doesn’t even begin to make sense, even in the context of the Sailor Moon universe. Apparently Naoko didn’t make up the concept of Star Seeds. That honor goes to author Brad Steiger,2 and his 1976 book Gods of Aquarius. Long time readers might be tipped off to other possible Sailor Moon connections with the Aquarius reference. [C]ertain people originated as extraterrestrials and arrived on Earth through birth or as a walk-in to an existing human body. So there isn’t an exact 1:1 relationship between a person and a Star Seed, but rather a Star Seed is essentially the “soul” of sorts that is continuously reborn throughout the universe, and in certain cases on Earth. The motivations for all Star Seeds to come to Earth are to help and serve mankind as well as planet Earth. These beings very often have gifts to share with others such as in the areas of healing, channeling and spiritual education. There is a strong desire in Star Seeds to help others and usually there is a plan made prior to birth as to how this may be manifested and expressed when they become a human being. 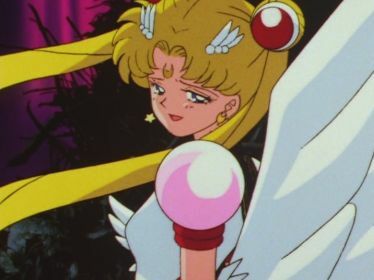 Are you thinking what I’m thinking?6 Because the more I read about this, the more I start to suspect that Ms. Takeuchi took the basic concept behind the “Star Seed” belief and applied it to Sailor Crystals, all the while adding in her own magical storytelling touch, of course. Space aliens reborn on the Earth? Check. A strong desire to do good for humanity? Yup. Possessing special powers? Sounds about right. Reborn over and over again? Oh yeah. While I’m by no means an expert on this system of beliefs, I think we can somewhat safely say that Ms. Takeuchi at least referred to the idea when putting together the Sailor Stars story arc. 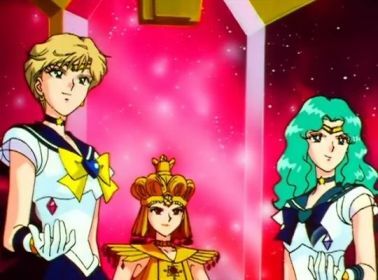 What’s most interesting to me, though, is the inclusion of everyone possessing a Star Seed and then using the actual Star Seed concept for the Sailor Crystals. 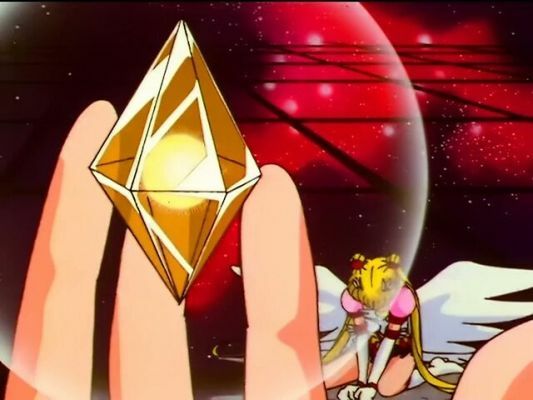 Though I can’t really say whether knowing about the inspiration that led to the Star Seeds as they appear in Sailor Moon makes them make any more sense, I can say that it definitely does give me a lot to think about, especially with regards to the Sailor Crystals and how many other Sailors there may be living on Earth, yet to be discovered. But that’s just me. What do you think about all of this? An interesting insight into how Sailor Moon came together, or yet just another “cool-sounding” name borrowed for use in the series? Let me know your thoughts about this! And if you have any similar connections to Pure Heart Crystals and Dream Mirrors, I’d love to hear about them! ← What Real World School Uniforms Inspired the Designs in Sailor Moon? Hey, I had heard of the New Age origin of star seeds a while back and had been meaning to leave a comment about it in that article about paranormal elements Takeuchi included in the second arc, but it kept slipping my mind. Great to see a more comprehensive look at the whole star seed idea! 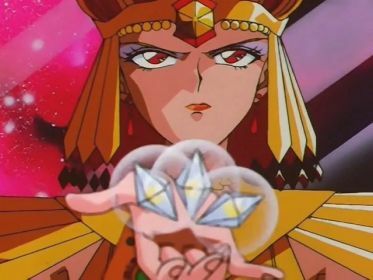 Given that Naoko was also big into astronomy, I wonder how much ‘we are all star stuff’ may have played into the concept of star seeds/sailor crystals. The general concept, that all the atoms in our bodies come from space/stars, works well with the idea of star seeds. Sort of works with the idea of the Galaxy Cauldron as well. Every atom in our body will eventually return to space. I’d say that definitely must have played a big role the end of the story. I mean, everything is based around space and stars anyway, so I guess it’s the natural conclusion that we’re all the products of stars! Posted 2018-05-27 at 12:12 am by A.J. The fact that people in the Sailor Moon story have all these things in them is a bit much. Energy? Sure. But crystals, mirrors and star seeds? Where do these objects go? Maybe they are just energy (and dreams) materialized as something tangible I guess. That is an interesting concept! What makes you not sold on it? Yeah, I don’t agree with that. They’re certainly all similar things, they’re aspects of someone’s personality (how virtuous and pure hearted they are, what their dreams and goals are, and um… I guess their hobby/occupation) and they manifest as physical objects that can be examined or used. But they’re not the same thing. Energy is self explanatory. The enemies are draining out life force. Too much lost = extreme weakness and even death. The manga version was “hosts” or “souls” I believe. Everyone has one of these. I have no problem with that. It’s similar to religious concepts of us being spiritual beings in mortal bodies. The hosts are something the Daimons/Demons can attach themselves to, a possession of sorts. As hearts, they are representations of a persons being. But possibly they are more representative of what lies within our hearts in the anime. Totally different than just energy, which animals and even plants have in the series. These are a person’s desires manifested in physical form. I sort of believe they take this for due to the way they are extracted, but who knows. Why is it a mirror? Maybe something to do with how we see them in ourselves, maybe? Most likely used just to parallel Nehelenia’s mirror. Totally different than a heart or energy. These seem to be most closely related to the Heart Crystals, or a person’s soul. They are confusing to me, too. Maybe it’s that within each of us a seed from the Galaxy Cauldron exists? Our life in general? Maybe they represent potential to become something more but sadly most of us don’t have what it takes or just become a parody of a sailor. (That’s depressing). Maybe more answers lie within the name of the MODs of Stars. Phage means “to eat”, right? A bacteriophage duplicates/replicates. Maybe that has some significance.